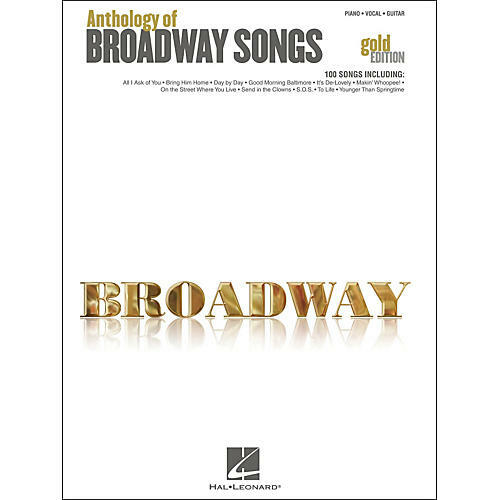 100 beloved songs from the Great White Way, including: All I Ask of You • Bring Him Home • Comedy Tonight • Day by Day • Good Morning Baltimore • Guys and Dolls • I'll Never Fall in Love Again • It's De-Lovely • Makin' Whoopee! • My Favorite Things • On the Street Where You Live • Send in the Clowns • S.O.S. • They Call the Wind Maria • To Life • The Wizard and I • Written in the Stars • Younger Than Springtime • and more.